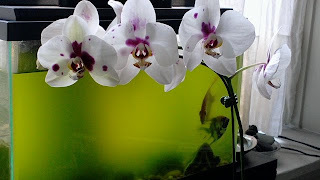 The fish tank in JhonT (my yoga master)'s office sadly needed new water. The direct sunlight was making algae BLOOM in there. 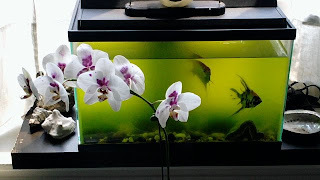 You can't even see the other two fishies in there. But it made the orchids stand out to a fault!